San Francisco is one of the most beautiful, diverse cities in the world. It is a hub of excitement, and the cultural, commercial and financial heart of Northern California. The city is famous for its restaurants and some of the best chef’s in the country are lucky enough to call this home. With so much to do in this amazing city, we wanted to highlight the best places to eat and things to do. Le Marais Bakery: The food, particularly, the pastries here are so gorgeous you almost don’t want to eat it. Everything from the service to plating is executed so well. If that’s not enough, the bakery itself is decorated so masterfully. 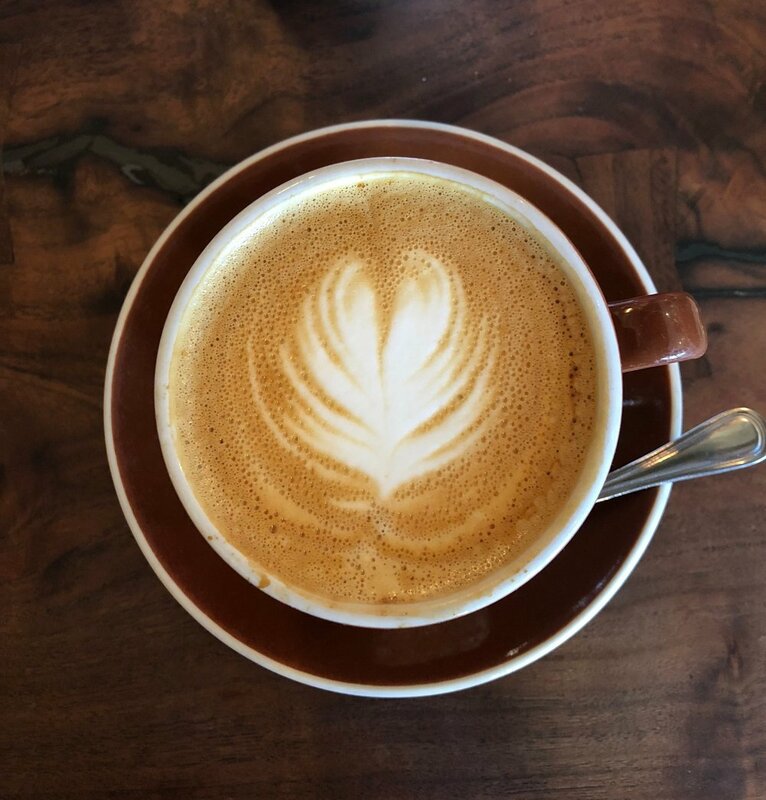 Plow: if you’re bringing your appetite then order “The Plow.” You can also indulge in the Lemon ricotta pancakes which can arguably quiet anyone’s fears they are that good. Sidewalk Juice: The acai bowls here are incredible. Both locations are in Mission District which is a fun area with lots of shops and cafes. Outerlands: This restaurants oozes hipster, trendy and vegan friendly goodness. Outerlands, as the name suggests, is on the outskirts of the city near Ocean Beach. Enjoy a kale pesto toast or a Dutch pancake made in a cast iron pan. Lite Bite: I like to eat healthy and when I travel its always a challenge. Lite Bite, however, was the answer to my food traveling woes. In the Cow Hollow neighborhood, Lite Bite has sit down eating or you can conveniently order ahead and take it to go. Koja Kitchen: Korean-Japanese fusion, Koja, was such a popular food truck that they made a location in the Sunset that offers all the amazing dishes. Try the kamakazi fries! Media Noche: This was incredible Cuban food in a décor that makes you feel as if you are actually in Cuba. You can find Media Noche in the Mission District. Tratto: Tratto has an eclectic, modern spin on Italian without breaking the bank. Try any of the pastas – they were incredibly fresh! Tony’s Pizza: Think old school, Italian pizzeria. Tony Gemignani, a 12-time world pizza champion, makes these pizzas by hand. Gott’s: Whose doesn’t love a good gourmet burger? As an accompaniment, you can order sweet potato fries and milkshakes right in the iconic Ferry Building. Akikos Sushi: This is best sushi I have ever had in my life. Yes, my life. Tucked away on a side street between Chinatown and the Financial District is this tiny sushi restaurant. If you are lucky enough to get seats at the counter your meal comes with free entertainment as you watch the chefs prepare each role and slice fish by hand. Flores: Flores delivers an incredible, modern take on Mexican food. Make a reservation ahead of time so you can sit on their patio to enjoy the fresh air! Flores is in the Cow Hollow district. San Francisco is home to a little bit of everything. Whether you’re a first-time visitor or a long-time local, San Francisco's Golden Gates welcome all. Below are some ‘pro’ tips to make sure you make the most of your time. Be sure to hop on the cable car to enjoy some of the iconic public transit! 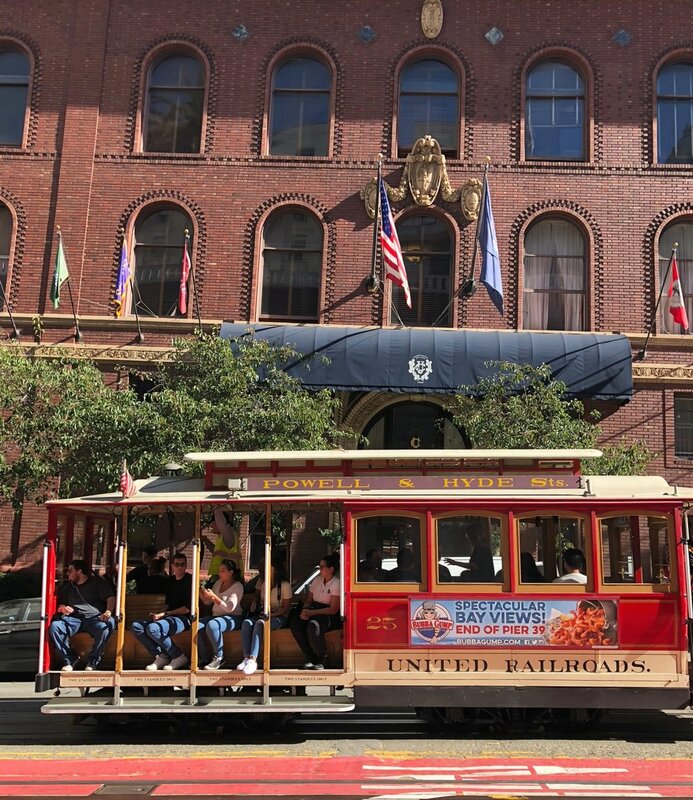 Fun fact: the cable car is considered the only moving national landmark. Painted Ladies: These are the colorful Victorian houses often referred to as “Postcard Row” in Alamo Square. For those of us old enough to remember, you may have seen them in the opening of Full House. Japanese Tea Garden: Head to the Golden Gate park. 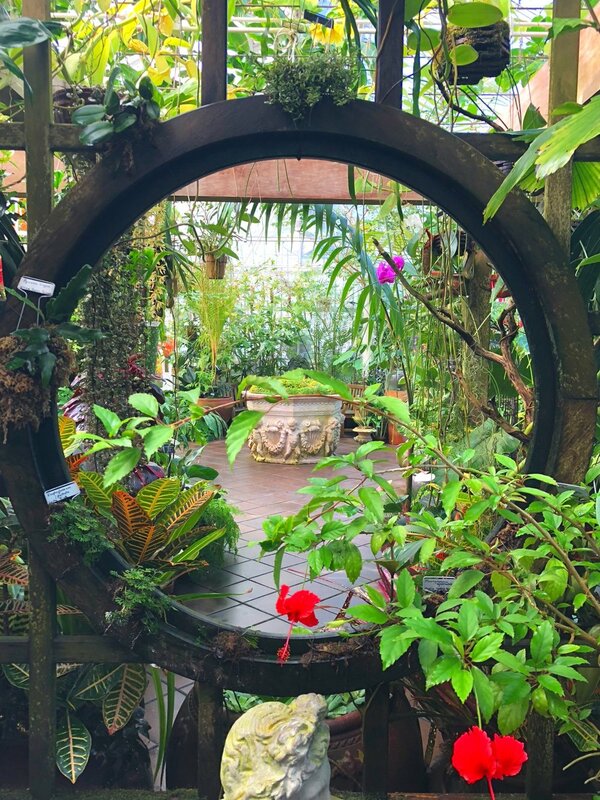 At the park you can enjoy the conservatory of flowers as well as the Japanese Tea Garden. You’ll want to enjoy an authentic cup of matcha tea and some of the classic Japanese elements. Botanical Gardens: I recommend walking through the gardens because it is so beautiful. There are plants species here that you can’t see anywhere else in the US which definitely gives it bonus points! Alcatraz: The prison closed in March of 1963 but has since been a major attraction for tourists when visiting SF. If you are a history buff, jump on a ferry and take a tour of the prison. Golden Gate Bridge: When in SF you have to go see the Golden Gate Bridge. If you are up for an adventure you can also rent a bike and ride the entire Golden Gate bridge. Riding a bike allows you to also cruise along the Embarcadero, up through Fisherman’s Wharf, into the Marina Green. Sutro Baths: The baths were built in 1984 by a self-made millionaire who was obsessed with marine life and natural history. He built them into the side of a cliff over-looking the water. From these cliffs you have some of the most incredible views of the water and the Golden Gate bridge. 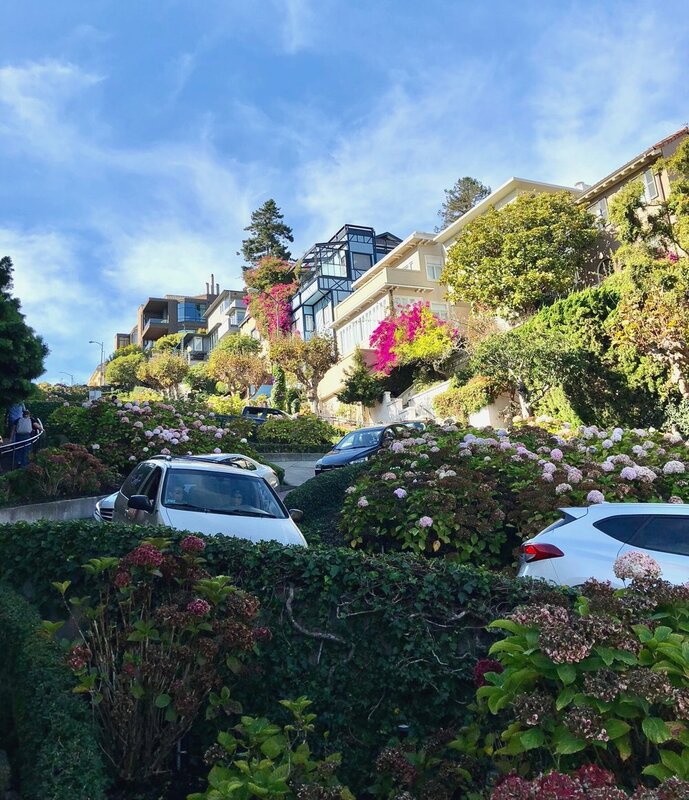 Lombard Street: This is one of the most iconic tourist attractions in San Francisco. It is known as the crookedest street in the world. It has 8 hairpin turns in a one block section. You can walk here and try to walk up the street itself. It is an incredible steep incline so it’s not for the faint of heart! Filmore Street & Union St: Both streets in San Fran are lined with shops, cafes, and restaurants of all varieties. This is a great area to walk around, absorb the city’s culture and shop! Pier39: Visit the sea lions that lounge in the sun down by Pier30. It’s incredible to see the amount of sea lions that take over the docks.